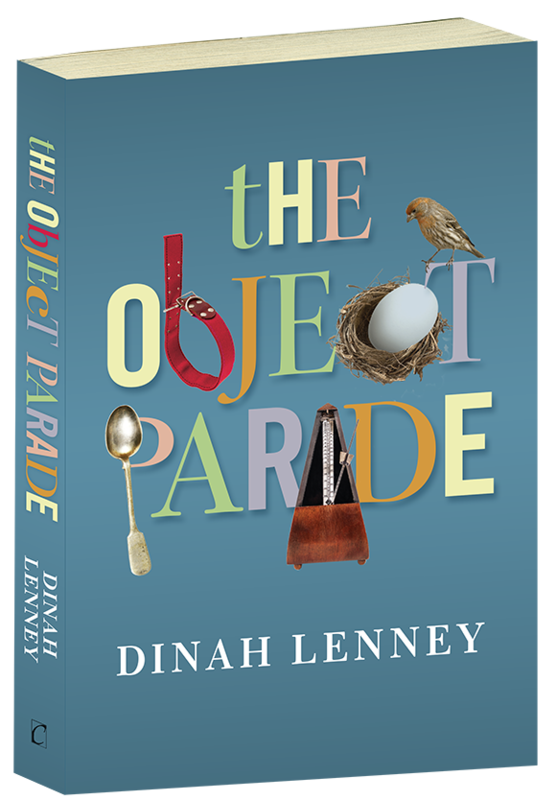 “The Object Parade is a wonderful book—an inquiry, a quest. The relation of objects to individuals is perhaps its secret charm. It doesn't simply narrate —underneath is the persistent urgency to understand, to consider, beyond the joys and anguish of the self, the meaning of these bright and sometimes out-of-focus slides that pass before us, revealing not only a life but a growing consciousness. I read with deep pleasure and that sensation of being in a book, that is rarer than it should be." "From politics to the piano to the lament of a mourning dove, Dinah Lenney looks life in the eye and never finds it wanting. Like Proust's madeleines, her "objects" scent the terrain of this book with memories from the evanescent to the profound. The world itself, examined with joy, shines out through each small detail. You will love this book, one object at a time, right down to its very end." Anne Sexton and Half in Love: Surviving the Legacy of Suicide. "Lenney draws upon her experiences as a working actor and mother, offering a reflective and candid look at the connection between sentiment and necessity."